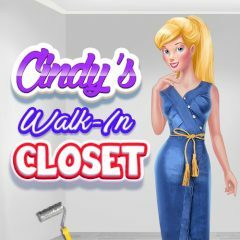 Cindy suffers from the lack of space in her closet. She needs to do something with it. Find some inspiration and see what you can do with the place! Needless to say, that Cindy is a fashion girl that seeks for new fashion solutions. Well, this time she is about to make a completely opposite thing. Her closet lacks of space and she needs a bigger one. Design it and make sure it is comfortable.